Stand alone resin kit. Very limited production run. 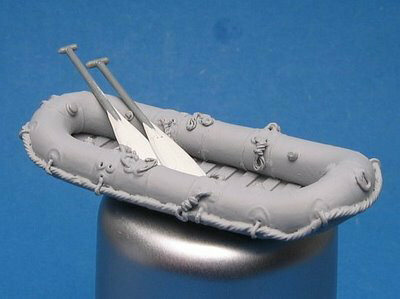 Casting quality is very good with nice detail; small parts on a sprue. 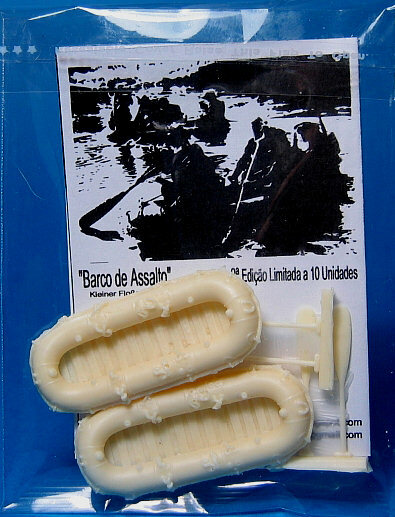 The set consists of two rubber assault boats and four oars, all in resin. The boat respresents a "Kleine Flossack 34". Very good. With enough of these boats you can make a pontoon bridge.